With half of the transfer window already in the rearview mirror, the clock is ticking for Premier League managers to get their business concluded before January. But they shouldn't be the only ones worried about deadlines - you should be too ahead of another weekend of fantasy football action. The standout game of the weekend sees Arsenal take on Chelsea at the Emirates Stadium in a crunch London derby that has serious top-four implications. Elsewhere, table toppers Liverpool host Crystal Palace at Anfield and Manchester City travel to manager-less Huddersfield. So who should be placing your fantasy faith in this weekend? Let's find out as we run you through who's hot and who's not. 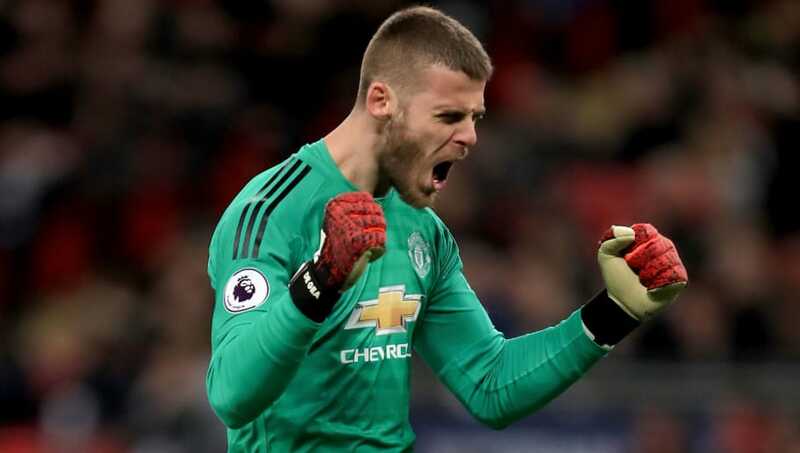 ​David de Gea: This first pick shouldn't need much explaining, given De Gea's standout performance against Tottenham last weekend at Wembley. Save after save earned Manchester United a precious three points, and earned the Red Devils a sixth consecutive win under Ole Gunnar Solskjaer. Over 40,000 players have responded by drafting De Gea in - I expect you may want to do the same. Rui Patricio: Wolves have continued to defy the odds this season, proving that they are more than a match for most Premier League sides. A humbling defeat at Man City was perhaps expected given they were down to 10-men, and is unlikely to be repeated. A favourable run of fixtures await Wanderers and Patricio could be eyeing a bunch of clean sheets - starting with a home game against Leicester this weekend. Jonas Lossl: Times are tough up at Huddersfield, particularly after the departure of manager David Wagner in the week. Things aren't looking any better over the next few weekends either - with Manchester City, Everton, Chelsea and Arsenal lined up for the Terriers next four games. Lossl is a quality keeper, but he may be picking the ball out of his net frequently over the next month or so. Time to go. Declan Rice: Having scored West Ham's winner against Arsenal last weekend, Rice's stock is understandably high. And in fantasy land, things are even better. The 20-year-old is plying his trade as a holding midfielder on the pitch, but qualifies as a defender on the game - meaning any goalscoring exploits will leave you handsomely rewarded. At £4.4m, that's fantasy gold dust. Jose Holebas: Having attacking full-backs who whip crosses in all day long is pretty handy isn't it? It certainly is down at Watford, with Holebas one of the better examples of how to balance getting forward with defensive responsibilities. The 34-year-old's engine is showing no sign of running out, and three goals and six assists prove that the £4.8m-rated star should be in your fantasy thoughts. ​Marcos Alonso: There's a mass exodus taking place in the world of fantasy. And it involves possibly the most influential defender over the past couple of seasons - as far as points go that is. But things aren't going Alonso's way this season at Chelsea - and almost 150,000 players have had enough of a player who hasn't contributed a goal or an assist in his last 11 games. Time to join them? ​Mohamed Salah: There's a multitude of reasons why you should have Liverpool's Egyptian megastar in your fantasy ranks. He scores goals, he wins games and more importantly, he's title hunting. His appetite for goals is likely to increase now that Harry Kane's chase for the golden boot has been hindered by injury, and with ​Crystal Palace up next this weekend, the floodgates could open. Captain material is written all over Salah this week. David Brooks: Bournemouth's superb start to the season has fallen away in recent times, with the Cherries slowly slipping down the Premier League table. However, a ray of light continues to shine brightly in these slightly darker south coast days - in the form of Brooks. The Welshman looks a class act and genuine goal threat every time he plays - £5.1m is a snip for a player of his class. ​Richarlison: A break. That's what it looks like Everton's talented Brazilian needs up front, given the vast amount of football he's played for both club and country. Early season promise has transitioned into leggy performances of late and you wonder when the time will come for Marco Silva to switch things around at Goodison Park. He's still great value at £6.9m, but may be worth sidelining for a couple of weeks while he searches for a return to form. ​Gabriel Jesus: Well, well, well. Things are getting interesting in Manchester City's goalscoring department now that Jesus has started finding the back of the net. The young Brazilian has seven goals in his three 2019 outings - leaving Sergio Aguero to watch on from the sidelines. It's always a risk picking City players given Pep Guardiola's rotation policy but at this stage of the season, you have to take a few risks, right? Troy Deeney: Watford's continued progression under Javi Gracia as been one of the stories of this Premier League season, defying those who predicted a season of struggle for the Hornets. Recently, powerful forward Deeney has looked back to his best and helped himself to brace against Bournemouth not long ago. Costing just £5.9m, he's a great option if you're looking to spend big in other areas. Aboubakar Kamara: Not content with just missing penalties on the field for Fulham, it seems like Kamara is intent on doing all he can to rile up Claudio Ranieri at Craven Cottage. The Frenchman was once viewed as a great budget option who plays on a regular basis, but it's fair to say his gametime may diminish as a result of his latest misdemeanour.